A few days ago, we celebrated the 17th anniversary of establishing our distillery, and have prepared something special for you, our dearest customers and fans. We’re opening our archive! After 15 long years, we’re bottling slivovitz distilled in 2002. A year when the first logo of ŽUSY was created, when we came up with the first label for our first product, when we launched our website and organised our first public tasting. The first slivovitz sold in Prague by our first customer. This slivovitz is unique – and we can’t make it again because it was distilled entirely from Durancia plums that no longer grow in our orchards. We had to cut them down over time and replace them with other varieties. It represents a time capsule from the era when we distilled only a few hundred litres a year, made from a variety we no longer have. The result is velvety and full in taste, with an incredibly beautiful marzipan-almond hue from its 15 years of maturing. There are only 150 litres of this beauty, filled into 300 bottles, of which 270 will be on sale. If there’s one product of our distillery that can be described as an investment article, this is it. We’ve been working on the packaging for this rare spirit since January. 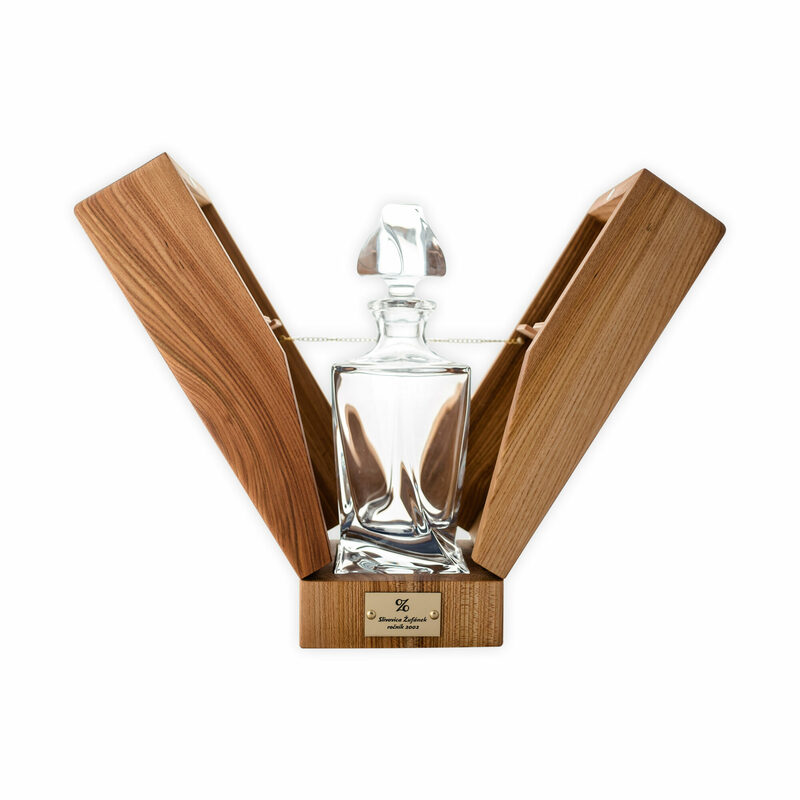 The bottle is a luxurious crystal decanter made by Crystalite Bohemia. It belongs to the same series as the glasses we’ve been adding to our gift packages. 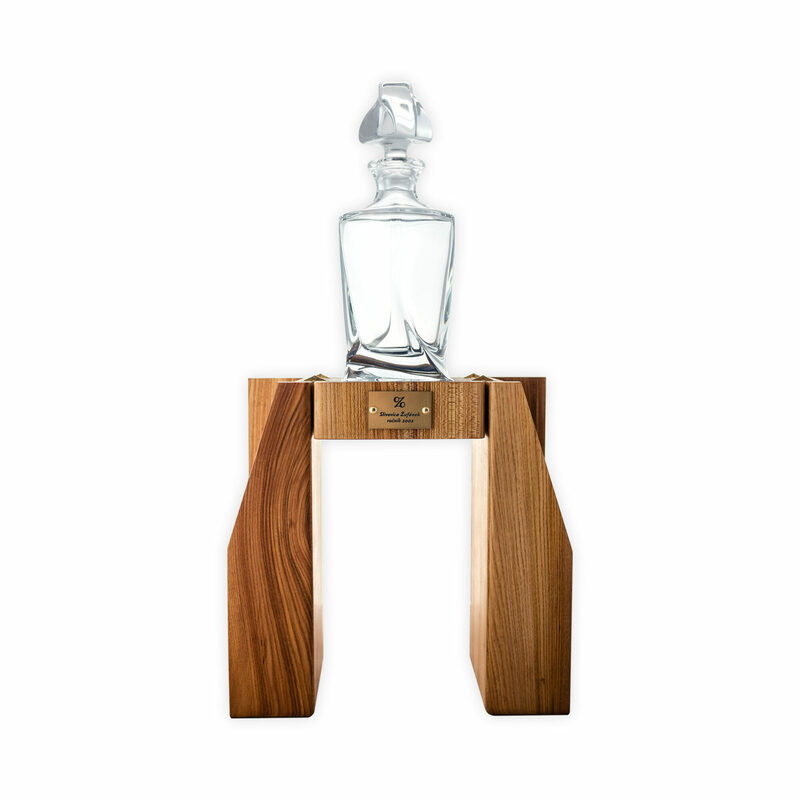 Each bottle comes in a box made from elm wood and you can open it like a fan, or turn it around and use it as a stand. 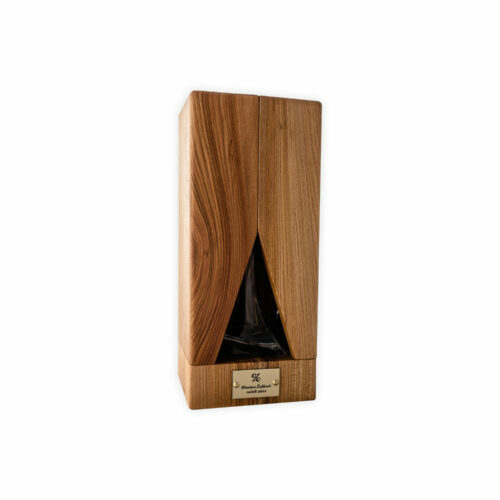 Each box is made manually and meticulously, and we can only manufacture 10 of them a week. They were devised, designed and draughted by our mother, Marcela Žufánková. The box weighs 2 kg, but comes to almost 4 kg with the decanter. The dimensions are: 135 × 135 × 315 mm. The sale starts on 2 October 2017 and there are just 15 boxed bottles available in the first wave. The price is 250 €. We are proud and happy. 17 years is a long time and we think what we’ve achieved is incredible. We have an excellent line of products and the best customers and fans.